Europe Once Saw Xi Jinping as a Hedge Against Trump. Not Anymore. BRUSSELS — A year ago, the self-styled global elite gathered at Davos, shaken by the election of Donald J. Trump, who made no secret of his contempt for the multilateral alliances and trade that underpin the European Union. Then up stepped the Chinese president, Xi Jinping, promising that if America would no longer champion the global system, China would. European officials and business leaders were thrilled. But a year later, European leaders are confronted with the reality that Mr. Xi could also be a threat to the global system, rather than a great defender. The abolition of the two-term limit for the presidency, which could make Mr. Xi China’s ruler for life and which is expected to be ratified this week by China’s legislature, has punctured the hope that China would become “a responsible stakeholder” in the global order. Few still believe China is moving toward the Western values of democracy and rule of law. Instead, many European leaders now accuse China of trying to divide the European Union as it woos Central Europe and the Balkan states with large investments. 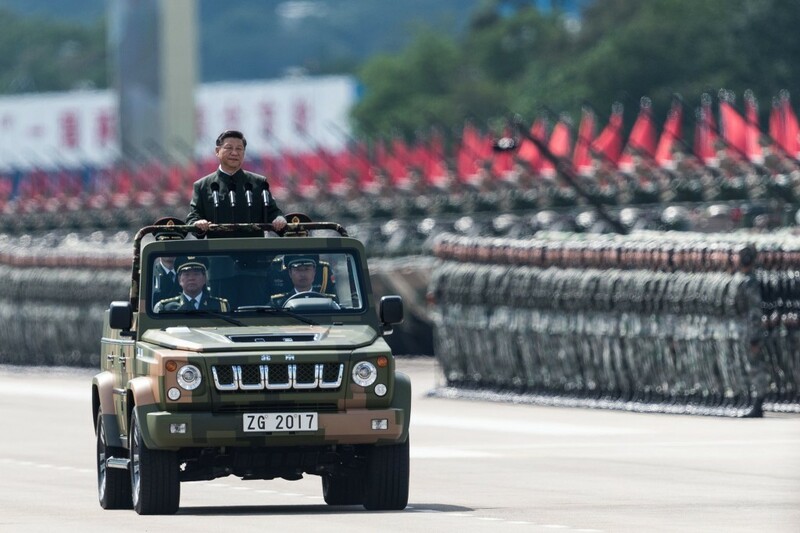 They are also wary of how China has become more aggressive militarily, in espionage and in its investment strategy abroad— with targets including its largest trading partner in Europe, Germany. For decades the European Union has benefited from the global system created by the United States after World War II, as has China. Even as Russia under President Vladimir V. Putin has remained a revanchist power, trying to destabilize the bloc and win back territories lost in the Cold War, China’s economic success has depended on stability and order — which benefited Europe, too. But the prospect of Mr. Xi as ruler in perpetuity has scrambled the equation. Many European leaders distrust Mr. Trump, who says he sees them less as allies than as competitors. But if moving closer to China once seemed like a smart hedge, at least while Mr. Trump was in office, now Mr. Xi also presents a problem — and he may not be going away. Mr. Trump’s declaration that he will impose stinging tariffs on imported steel will hurt Europe more than China, another example of how Europe is getting caught between Washington and Beijing. Mr. Gabriel was especially concerned about China’s “One Belt, One Road” initiative, a huge infrastructure project promoted by Mr. Xi to expand Chinese power by developing new trade routes, including in Europe. To expedite this, Beijing has created the “16 plus 1” group, which brings China together with 16 European nations, 11 of them members of the European Union and the rest from the western Balkans. At the time, some regarded his remarks as alarmist. Less so now. Despite Germany’s huge exports to China and investment there — China is Germany’s largest trading partner, with two-way trade last year of $230 billion — even the German ambassador in Beijing, Michael Clauss, has openly criticized China’s policies and domestic repression, a marked change from years of German silence. Chinese companies have also made waves by buying a major German machine-tool and robotics company, Kuka, and then trying to buy a key semiconductor company, Aixtron. The latter bid was blocked by American objections on security grounds. The sudden purchase last week of nearly 10 percent of Daimler, the iconic German car manufacturer, by a much smaller Chinese car company, Geely, has also raised hackles, and questions about where the money, some $9 billion, really comes from. Berlin and Brussels have been shaken amid concerns that the real intent of Beijing’s “One Belt, One Road” program is as much political as economic. Politically, the European Union has been troubled by convulsions in recent years as far-right parties have challenged the political establishment, while leaders in Poland and Hungary are challenging democratic norms. No European leader confused China with being an emerging democracy, yet analysts say many Western officials hoped and assumed the Chinese system would gradually become more like the democratic West. By now, European leaders are accustomed to dealing with Mr. Putin and Russia. Mr. Xi is very different, says Susan Shirk, an expert on Chinese politics who served in the Clinton administration.